When to train piaffe according to Book Three “The Aspirant Technique”. Many trainers and riders think Piaffe is only for the upper level horse, but training Piaffe can begin even before backing a young horse along with other ground work, according to Book Three, The Aspirant Technique. The advancement of the piaffe is addressed in each consecutive book. 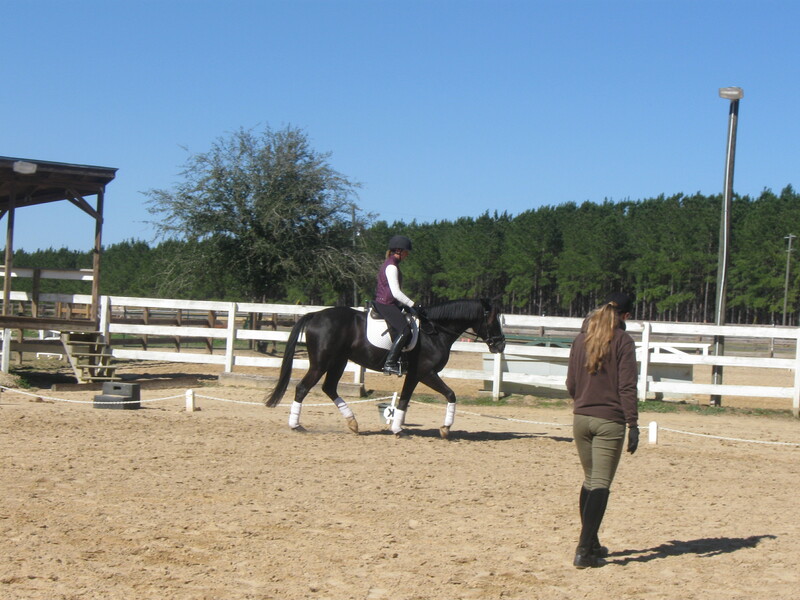 Sandra Beaulieu works with Marsha Hartford at her training facility, Southern Oaks Equestrian Center, in Florida. Marsha is a certified Aspirant Instructor through Book One, is working on advanced certification, and will be coming to Isaac Royal Farm to finish her certification this summer. Sandra, is a Certified Aspirant instructor through Grand Prix level, and will be conducting a clinic as well during her stay in Florida. Students will be able to ride their dressage test and she will school them on how to make it better from a judges point of view. 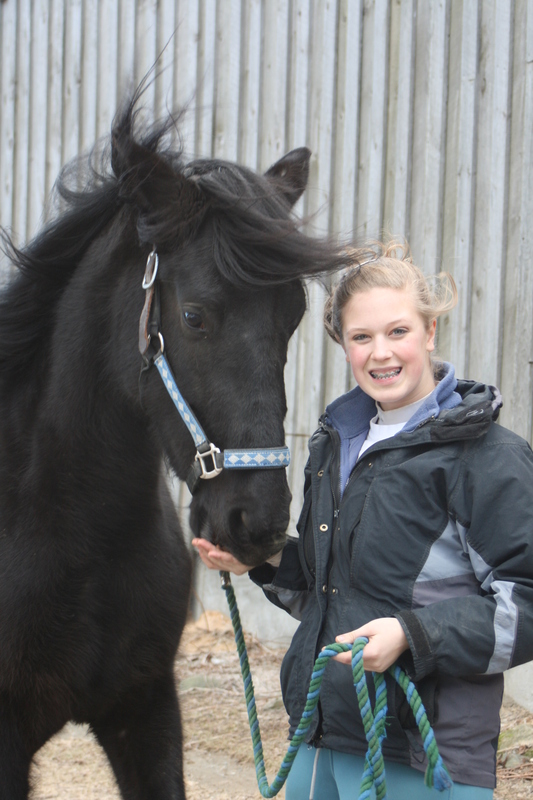 Remember that training your horse requires awareness of your horses mental and physical development. You must kindly take both into consideration and allow time for the development before pressing on to the next level of training. Rest at each level until the horse is mentally ready to move on and until his physical development in ready to carry the weight on the hind legs required for the next level. 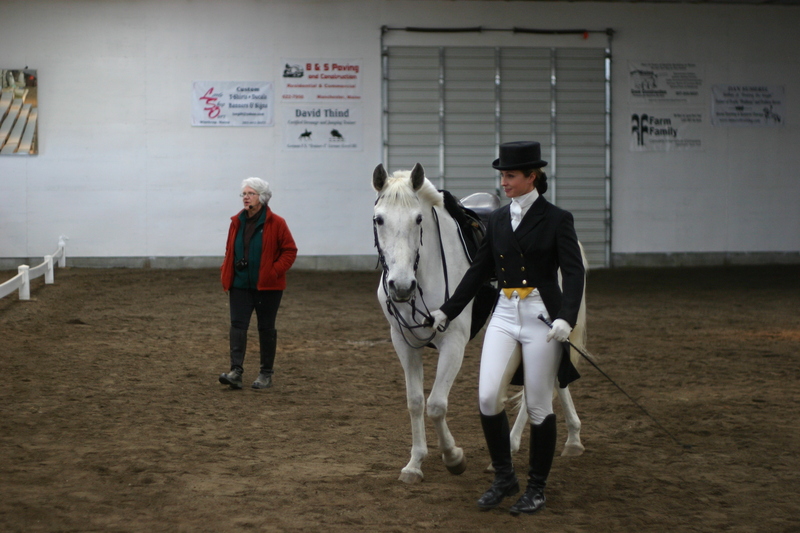 Make sure that your tempo is steady in all gaits, that your horse is supple and accepts the bit. These are three things that must be tested at each level and refreshed everyday of training. Always compare your techniques with the Aspirant Books that show you the way to train your horse. By the same token do not wait longer than needed as horses love learning new things when they are ready and will easily get bored if he stays too long at a lower level. Sweet William came back for training thursday night. He is a son of Rory, who was once used as a breeding stallion at Isaac Royal Farm. Rory was trained, the Aspirant Technique, to Prix St George and then sold to Robin Brittilli, a student here at the farm, so he remains with us. It is so nice to have his son back. We originally backed him, and then he went home. His owner, Paula Day and others rode him during the summer. In his absence he has learned to put his head in the air, preventing him from coming onto the bit and through the back. He is so smart, he has not forgotten any of his training. The first day he was on the bit and through the back in an instant with a few reminders. The Aspirant Technique is the language of the horse, so I was confident he would fall right back into his previous training. Under a lesson arrangement, Kaylee Clark has ridden him now both days of his training. There have been other posts about her if you want to know who she is. Sweet William has finished the training outlined in Book Three and is working on the technique’s in Book Four. We will keep you posted on his training progress from time to time. Caitlin had the shock of her life when she came to the barn on her birthday. On Ki’s stall there was a big ribbon and a sign that said, “Happy Birthday”. Caitlin had no idea her parents were buying her a horse. That was a happy day!! It was an instant bonding between the two of them. Ki isn’t yet three, so most of the work we are doing is fun and games to him. I work with her and Ki a couple times a week when Caitlin is able to come for lessons and she is following the training that is outlined in Book Three, “The Aspirant Technique.” Ki waits for her at the gate whenever he hears her voice. He loves his ground work and has his eye on her every second waiting for his next command. He loves doing the foundation work for piaffe which he performs to perfection. Lately we have put on the saddle and he runs around with the saddle on feeling very proud. We will keep you posted of his training progress from time to time. Much is being said about rollkur today. The Aspirant Technique is seeded in Classical Dressage which means anything that is forced would not be acceptable. Taking the horse beyond round and deep and over stretching the spine into hyperflexion, behind the vertical, would be potentially damaging, not to mention the negative effect it may have on the wind pipe, jaw, etc. Round and deep lifts the back up, strengthening it’s ability to carry weight. On the other hand allowing the horse to stretch its nose out and up, causing the back to drop is also potentially harmful to the spine, because it weakens the backs ability to carry weight. So let’s be logical and simply ride our horses softly, kindly and classically.